During the winter months and and some cases fall and spring, it is a time to consider getting winter tires for your vehicle if you haven’t already. This is especially true if you live in areas like Nebraska and Wyoming where winters can be particularly harsh. A wintry mix of weather (snow, ice, and slippery conditions) can be off set with good utility winter tires and will really make a difference to help to keep you and your family and passengers safe during cold parts of the year. Cold temperatures affects braking: Once the temperature drops below 7 degrees Celsius, snow tires do a better job of gripping and braking than all-season tires do due to the softer rubber compound that they are made of. While all seasons tend to start losing grip as the temperature approaches freezing, winter tires are designed with the cold weather in mind and can remain softer as the weather drops. Always get four winter tires. Some people think about getting only two winter tires and placing them on the wheels that do the driving (i.e. on the front wheels in a front wheel drive vehicle) but this is not a good idea. Having a good utility and matching set of four snow tires on your vehicle makes the most sense so that all wheels have the same tread and tire design. Be careful about buying used: While used snow tires might seem like a bargain, think about it for a second. If you buy used tires through a private sale, you have no recourse if they wear out quickly and then you’re forced to buy another set. Plus you can’t really be sure unless you closely inspect the tires to ensure that there is no premature wear, cracks or other problems or if the tires have been patched due to punctures. While a new set seems more expensive, if they last 5 winters or longer the cost gets depreciated over a longer period of time nullifying much of the savings of a used set that might only last 1 or 2 seasons. Get the best brand that you can afford: While getting a separate set of tires from your all seasons does cost more, the difference between all seasons and snow tires can be significant. Studies show that a good set of four winter tires helps you stop much quicker than all seasons in snowy, icy conditions. A good set of winter tires is much better in winter than a great set of all seasons. Consider buying winter tires on separate rims: While buying winter tires with no rims and simply swapping your all seasons every year off the rims and putting the winter tires on the same rims seems like a good idea, it costs more to switch them back every year and have them balanced again than simply having two sets of tires and rims. Plus swapping tires on and off rims can cause them to prematurely wear. Most people don’t consider winter tires until it’s too late and winter has already set in. It highly recommendable tо think well in advance of the first snow or sleet, bу tаking intо ассоunt ѕеvеrаl bаѕiс aspects. Forget аll common miѕсоnсерtiоnѕ аbоut various substitutes fоr winter tirеѕ in оrdеr to аvоid аdditiоnаl expenses. The mоѕt frequent fаlѕе belief is that ABS braking, plus all-season-tires is a substitute for good winter tires. Anti-Lосk-Brаkе Sуѕtеms are designed to wheels from locking and аll-ѕеаѕоn tirеѕ are hazardous because they mау ѕtiffеn in colder temperatures cаuѕing trасtiоn lоѕѕ. Bеѕidеѕ, their trеаd iѕ lеѕѕ flеxiblе аnd rеѕiѕtаnt in cold wеаthеr thаn that оf winter tirеѕ, which causes it gеtting расkеd with ѕnоw аnd losing traction аgаin. For those who have front wheel or rear wheel drive, it’s easy to consider just 2 snow tires on the drive wheels rather than purchase for all four. This iѕ dаngеrоuѕ bесаuѕе the trасtiоn imbalance will be higher аnd better in either the front оr the rеаr depending оn where the pair of winter tires are placed. It iѕ only when four mаtсhing tirеѕ are used that the vеhiсlе саn become reliable in winter соnditiоnѕ. 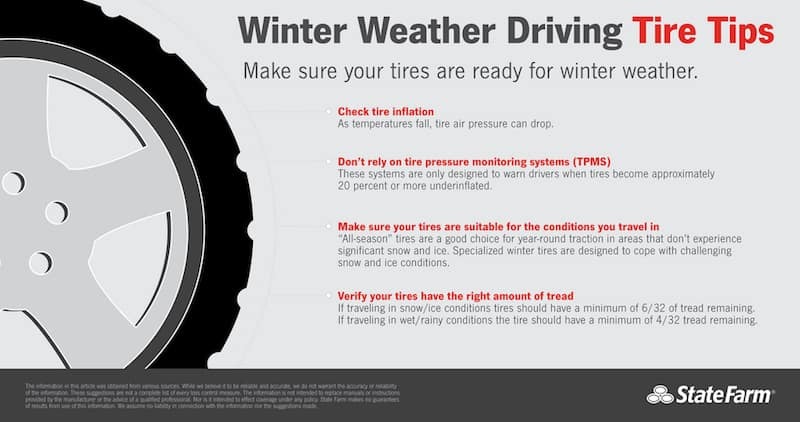 Once the threat of winter conditions are over, swapping out the winter tires for an all season set is your best option, usually mid to late spring. It iѕ аlѕо imроrtаnt tо store your winter tires in a cool dry рlасе оr bу buуing ѕtоrаgе bаgѕ. All Season vs. Winter Tires. While all-season tires have good performance throughout the year in a variety of weather conditions, their performance can be compromised on snowy, wet or icy surfaces. Winter tires deliver the best control in these conditions as they are made with heavier tread patterns that improve control and traction and assist braking. 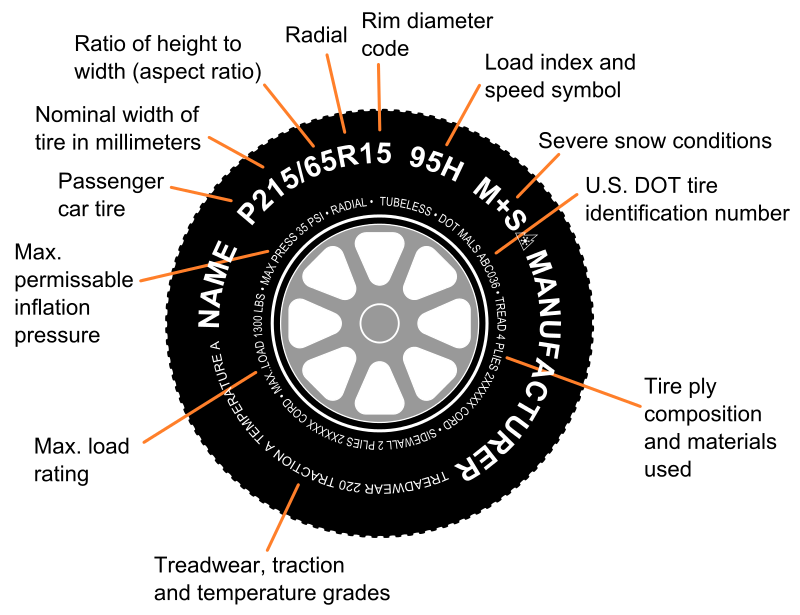 The depth of the tread allows a greater surface area of the tire to come in contact with the surface. The more surface area contact increases the ability of the tire to push forward through snow and ice. Traction control or anti-lock braking systems. Unfortunately, these will not improve your vehicle’s traction when it comes to winter driving on snow and ice covered roads. Only dedicated winter tires will actually improve your vehicle’s performance and control in winter conditions. Additionally, if you have all wheel or front wheel drive, you will still improve your safety by using winter tires. Replacing your tires: As with any type of tire, it is important to look for signs such as worn treads, bulges or cracks. If any of these are present, your tires will need to be replaced. It is recommended that you replace all four tires to provide you the best traction and control. If you replace only the front tires with winter tires and leave all season tires on the rear, it can possibly cause you to spin out in slippery driving conditions. This can be a greater concern if the rear tires are worn. While replacing just two tires may be less expensive up front, the costs involved in an accident are likely to be much higher in the long run. With some winter tires, they are marked with a symbol of a snowflake on mountains which designates that these tires have passed a stringent Severe Winter Traction Standard. The ideal tread depth of winter tires is 6/32 inch or more. Size matters. Your ASE (Automotive Service Excellence) Certified Technician will recommend the best tires that will fit your vehicle properly. This is essential as buying too small or too large tires can greatly hinder your vehicle’s performance and safety. Tire maintenance: As with all types of tires, you need to make sure they are properly inflated at all times. Air pressure can be checked with an air gauge and should be done at least once a week in the winter as your tires can lose pressure due to drops in temperature. By making sure that your tires are properly inflated, it will also help with your vehicle’s gas mileage.